February 28, 2010  With U.S. forces scheduled to begin withdrawal from Iraq this summer, Iraq must now take the lead in rebuilding itself. Iraqi scientists and engineers will hold the key to the future, and Iraqi women hope to be a part of that. Liane Hansen speaks to Dr. Alkazragy and Dr. Mustafa, two female Iraqi scientists who are visiting scholars at American universities. The doctors have asked that their first names be withheld for security concerns. February 24, 2010  A five-part series running on Slate.com this week illustrates how the capture of Saddam Hussein was the result of some creative intelligence work. While the military focused on capturing and questioning top government officials, a group of men in the U.S. military honed in on a social network of family and friends that led to Saddam's capture. Chris Wilson, the author of Searching for Saddam, discusses how Saddam was caught. February 22, 2010  In Iraq, parliamentary elections are scheduled for March 7th, a few months later than initially planned. Christopher Hill, the U.S. ambassador to Iraq, heads back to Baghdad Monday. He has some concerns about the elections. February 19, 2010  Iraq is in the midst of an election season already marred by acts of intimidation. Everything from deadly shootings and bombings, to posters being ripped down and defaced. This election season is filled with less spectacular acts of intimidation than previous campaigns, but they are still having an effect. February 16, 2010  While once a close ally of the U.S., Iraqi politician Ahmed Chalabi is viewed with wariness and apprehension by Americans. Chalabi seems to be Iraq's ultimate political survivor, making headlines again with his involvement in the recent purge of candidates linked to Saddam Hussein's Baath party ahead of the elections. Chalabi heads the Justice and Accountability Commission. February 12, 2010  Campaigning officially began Friday. 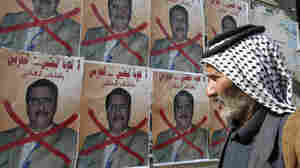 But an appeals court Thursday banned prominent Sunni candidates from the March 7 parliamentary election, citing alleged ties to Saddam Hussein's Baath party. The move has Iraqis further doubting the legitimacy of the election. 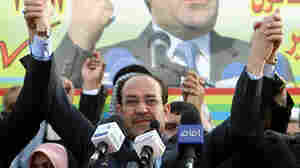 February 12, 2010  Iraq's Prime Minister Nouri al-Maliki publicly took U.S. Ambassador Christopher Hill to task for what he called overstepping his diplomatic role. The most recent disagreement centered on Malaki's support for the decision to ban more than 500 candidates in next month's parliamentary elections for alleged ties to Saddam Hussien's Baath party. The U.S. had been trying to get the banned candidates reinstated. 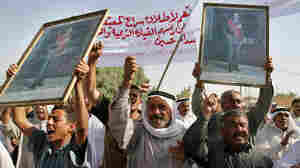 February 11, 2010  Many Iraqis were incensed in when a federal judge threw out charges against five security contractors accused of killing civilians in a Baghdad Square in 2007. Washington Post reporter Del Quentin Wilber explains how the sensitive case against the Blackwater Worldwide guards collapsed. February 10, 2010  Ahead of national elections in March, residents of Anbar province say they're disillusioned with the current government and look back on the late Saddam Hussein with nostalgia. For all of his shortcomings, they say Saddam was a leader who inspired fear and respect. February 5, 2010  Close to 100 Shiite pilgrims have been killed and dozens wounded this week by a spate of bombings in Baghdad and the holy Iraqi city of Kerbala. The violence comes as millions of pilgrims flock to the city to mark the 40th day after the martyrdom of Imam Hussein, one of the most revered figures in Shiite Islam. The pilgrims culminated their journey Friday with gatherings in both cities. 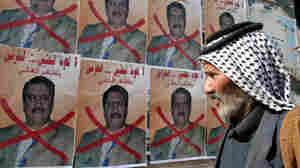 February 3, 2010  An Iraqi appeals court overturned a move to disqualify some 500 candidates in next month's parliamentary elections because of their alleged ties to Saddam Hussein's Baath Party. The controversy over the Baathists raises questions about who else is being allowed to run for office. 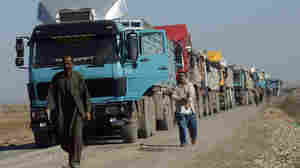 February 1, 2010  Truckers in Iraq are intimately familiar with the struggle to balance security with freedom of movement in a country plagued by bombings and attacks. A ride along with a driver illustrates how difficult the life is, and how it's still the best way for these Iraqis to make a living. January 31, 2010  At bases in Iraq and Afghanistan, the U.S. military disposes of trash in about 80 giant "burn pits." During the early days of the wars, everything was tossed into these burn pits — including batteries and even amputated limbs — creating a toxic smoke that soldiers and health officials say leads to respiratory problems. Guy Raz talks to reporter Kelly Kennedy, who's been covering the story for the Military Times. January 29, 2010  Former British Prime Minister faced six hours of questioning Friday about the war in Iraq. Appearing before a panel investigating why the British government decided to join the U.S. in the invasion of Iraq in 2003, Blair defended his decision to go to war against Saddam Hussein.